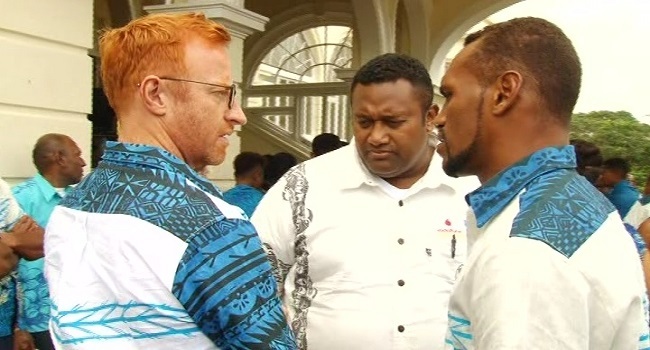 The Fiji 7s team will have its last training session today before they depart for the Rio Olympics tomorrow. The side will be in Chile for nine days before arriving in Rio. The Ben Ryan coached side are pooled with Argentina, USA and Brazil and is the number one seed going into the tournament. Meanwhile, Semi ‘The Beast’ Kunatani is looking forward to making Fiji proud in Rio Brazil next month. Kunatani who made his debut in 7s rugby in 2013 believes nothing is possible without team work. The 24-year old of Naqalimare, Navosa says his sights are firmly set on Gold at the Rio Olympics. Kunatani adds all they have to do is to have the right attitude and right mind-set.